It’s a crisp, winter afternoon, and I’m about to summit Mount Gaji near Busan, South Korea. It’s my second time hiking this locally famous mountain, but the first time that I’ll climb to the top to soak in the views. It is breathtaking. Even though I’m happy to share my shakedown hiking adventures with you all, I think it’s best that I introduce myself first. Let’s try to make this short and simple. Hi, I’m Runa. Runa? What kind of trail name is that? Well, first off, it’s not a trail name. Somewhere in my childhood, Runa became one of my many nicknames that stuck. Out of curiosity, I researched that silly nickname on the internet recently just to see what popped up. Other than an energy drink sharing the same name, Runa is a Norse baby name that means “mighty strength.” Heh. Fitting. I’ll definitely need mighty strength to complete a NOBO Appalachian Trail (AT) thru-hike this coming spring. 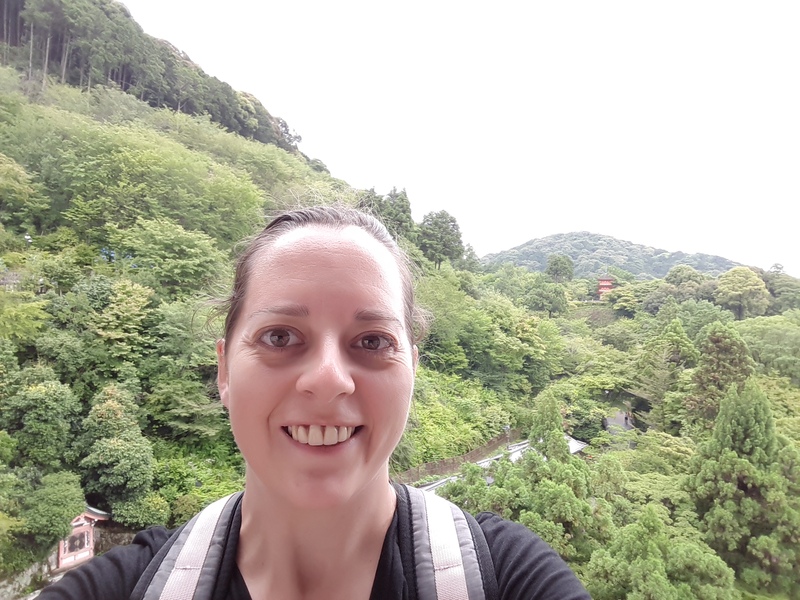 This is me at Kiyomizu-dera Temple in Kyoto, Japan. After I snapped this pic, I trekked to the orange temple that is off in the distance behind me. Loved the relaxing walk. Why Do You Want to Hike the AT? Such an innocent, but loaded question. Normally, I would recite canned answers back to the person: “It’ll be a great adventure”; “I want to see if I can do it”; “Because I like to hike”; and so on. But even though these answers are truthful, they’re weak attempts to put into words what I feel inside. How can you explain to someone the need, the pull, the must do this tug that is deep down inside your soul? How do you put into words that every time you witness a beautiful day, it takes all your willpower not sprint out of the office to revel in it? 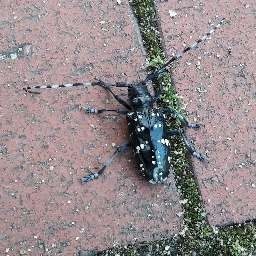 Plus, I find really cool insects when I venture outside! What Is Up with That Title? Not Ready for American Society Yet? I’m currently living in South Korea. Great place for hiking. Seriously. It’s one of the hiking capitals of the world, and nothing makes you feel more alive than having a 70-80 year old grandma or grandpa zoom past you on the mountain while you’re huffing and puffing away. In that moment, you’re disgusted at yourself for being so out of shape, but equally inspired to be just as fit as them when you reach that age. Although, I’m excited to move back to the states for a bit, I’m not ready to jump into the whole nine-to-five life right off the bat. Since I won’t need to move into my new apartment until August, this is the perfect time to embark on my 2019 AT thru-hike. 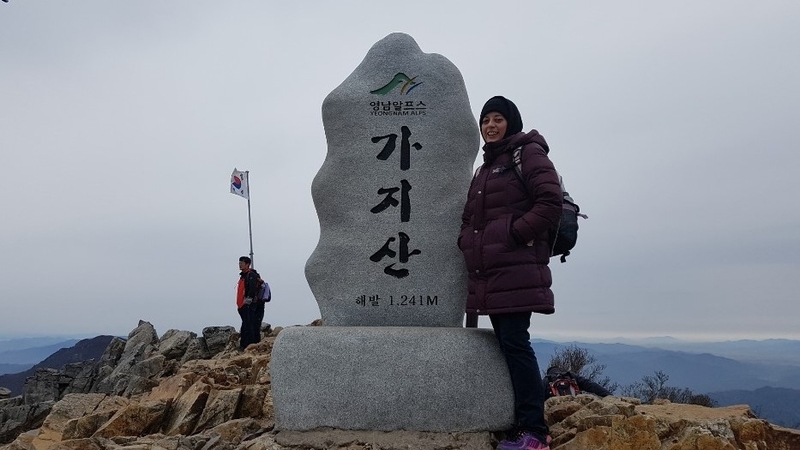 November 2018 hike to summit Mount Gaji (가지산). It was freezing up there, but the view was amazing! So what drives you to hike? Let me know below. 2019 NOBO AT thru-hiker. I currently live in South Korea and most of my hikes are on the Haeparang Trail that spans 770km (478 mi) from Busan to the DMZ line. I don't have anything clever to say at the moment, so here's a joke: What does the fish say when it hits a wall? Dam.